It was a minute after New Year’s Day, and Valentine’s Day ads were already appearing. Unless you’ve spent the post-holiday season under a pile of snow, by now you’ve been frequently reminded that it’s the season to think about how to honor your loved one. Why not consider shopping for that special holiday right here in the city? Back in the third century in Rome, young Valentine was a priest in the service of Emperor Claudius II. The emperor decided that single men made better soldiers and forbade young men to marry. Disturbed by this injustice, Valentine performed marriage ceremonies in secret. But after a time, Claudius got wise and jailed Valentine, who reportedly fell in love with the jailer’s daughter. Before being put to death on February 14, 270 AD, this generous soul wrote a letter to her “from your Valentine,” and later was declared a saint. About two hundred years later Pope Galsius decreed February 14 as St. Valentine’s Day. 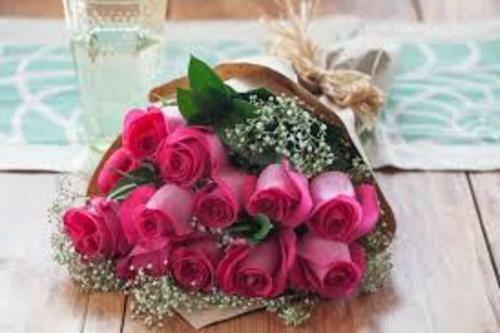 The tradition of giving flowers for Valentine’s Day was established during the 18th century. 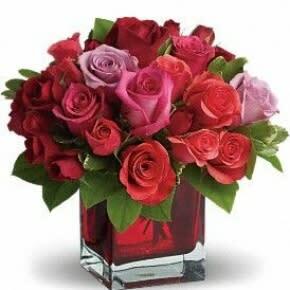 Roses remain the most popular Valentine’s Day flower, as they symbolize passion and love. (It is said that a single rose signifies love at first sight, so that might be a modest purchase for someone who just caught your fancy.) But many other flowers also will do, so it’s best to use your imagination and tailor your bouquet to the special qualities of your amoureuse. We highly recommend a visit to Washington Florist. It’s not just a great shop, smack in the center of downtown at 565 Broad Street and full of blooms, but it’s good to support family-owned businesses in our town and this is one of the best. Founded in 1906 by recent immigrants from Greece, it remains in family ownership and is now managed by sisters Peggy Capko and Athena Zois, both experts in flowers, floral design and customer service. Stop in for a chat with either of these charming women, tell them your budget and get some creative ideas for your sweetheart. It’s also hard to resist the selections at the downtown Whole Foods Newark. The stores nationwide are known for a great variety of fresh flowers and plants in handsome displays, with reasonable prices. You could choose something quite traditional or consider something a bit different, perhaps a red or rose cyclamen plant, which will keep nicely for weeks. Whole Foods is on Broad Street in the beautifully renovated Hahne & Co. building, and if you’re driving there, you can park for free in the underground lot with a minimum purchase of $10. A few blocks west of Broad Street, at 156 Central Avenue, is the long established Mueller Brothers Wholesale Florist. While only licensed vendors can buy flowers here, it’s a treat to wander the aisles for some ideas, and perhaps pick up a vase, ribbon or other decoration. In the Ironbound section, we recommend you check out two other family-owned florists that have served the community for decades. Santos Florists has two locations, at 10 Wilson Avenue and 29 Niagara Street. 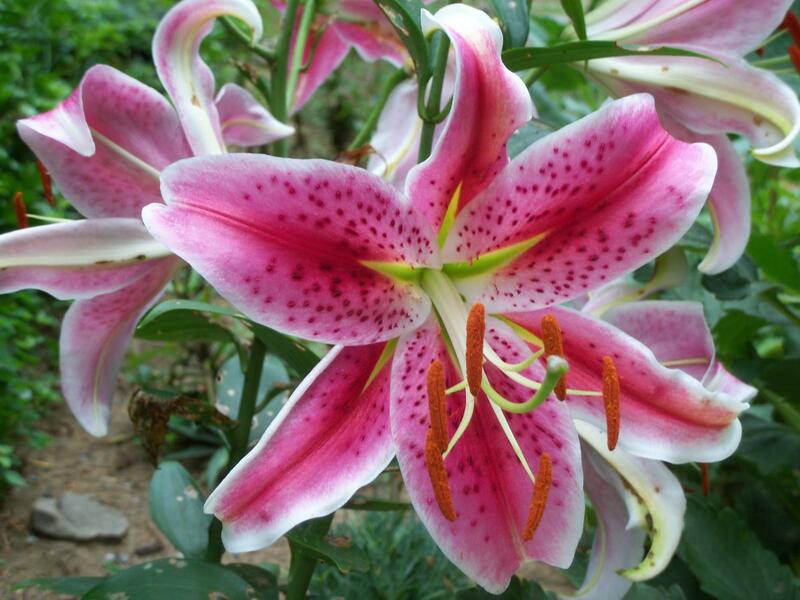 The staff offers excellent advice for a high-quality arrangement of roses or perhaps some super-fragrant lilies. At 283 Lafayette Street brothers Mike and Manny Pimantel, who own International Florist, can provide traditional or more modern bouquets in a wide range of styles and prices. When it comes to beautifying Newark with plants and flowers, we give bouquets of kudos to an exceptional non-profit, the Greater Newark Conservancy, 32 Prince Street. Once you’ve purchased your flowers, why not consider pairing them in your honey’s name with a gift/donation that supports local horticultural education and community gardening? Whether it’s flowers for Valentine’s Day or any other special occasion, Newark offers many sources for beautiful floral tributes. Newark Bound It's all about Newark. Flip through the glossy for an in-depth look at Newark's world-class attractions, endless dining options, upscale and discount shopping, accommodations, and more. NewarkBound explores and reports on the highlights, trends, celebrities, humor, history and perspective that reflect life in and around New Jersey's largest city.